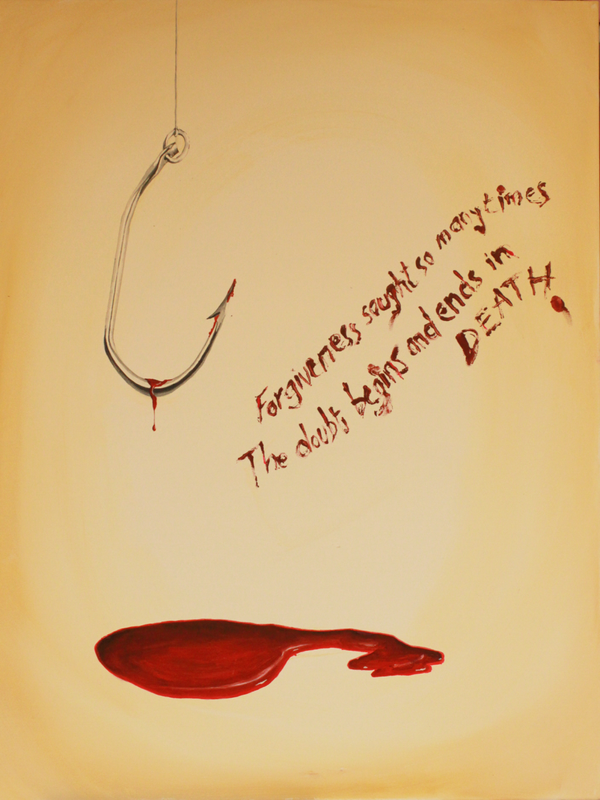 This digital image of an acrylic painting was created to illustrate a poem in which the last two lines describes his feelings as a fisherman. I felt the last two lines to be very compelling. The burning bile, a twisted gut. To twitch and flicker slowly out. Forgiveness sought so many times.